Catalysis speeds up chemical reactions. Without it, the modern world would be very different – everything from fuels to materials to pharmaceutical products rely on catalysis in their manufacture. Like closed shells of electrons, we scientists sometimes stay in our fields, sticking to what we know, not interacting with others. Our ‘catalytic moments’ are human connections: the conferences, talks and chance meetings that inspire us to do more. Cardiff Catalysis Institute is good at forging personal interactions. We have a shared, open culture, a global outlook, and a belief in the wider benefits of our particular field of science. As newly appointed Director of Cardiff Catalysis Institute (CCI), it’s a spirit that will continue to define our work here in Cardiff. 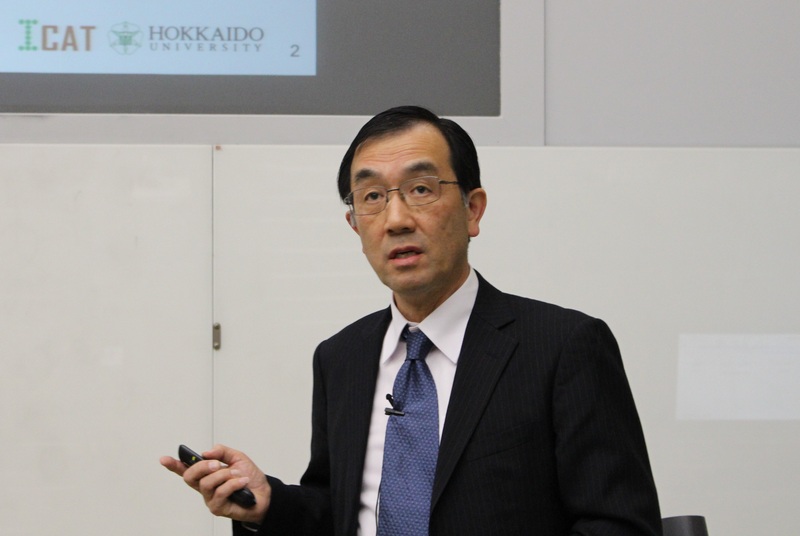 And it’s an ethos shared by Hokkaido University’s Institute for Catalysis in Japan. Both our institutions were created in the seafaring cities of island states, so our outlooks tally. 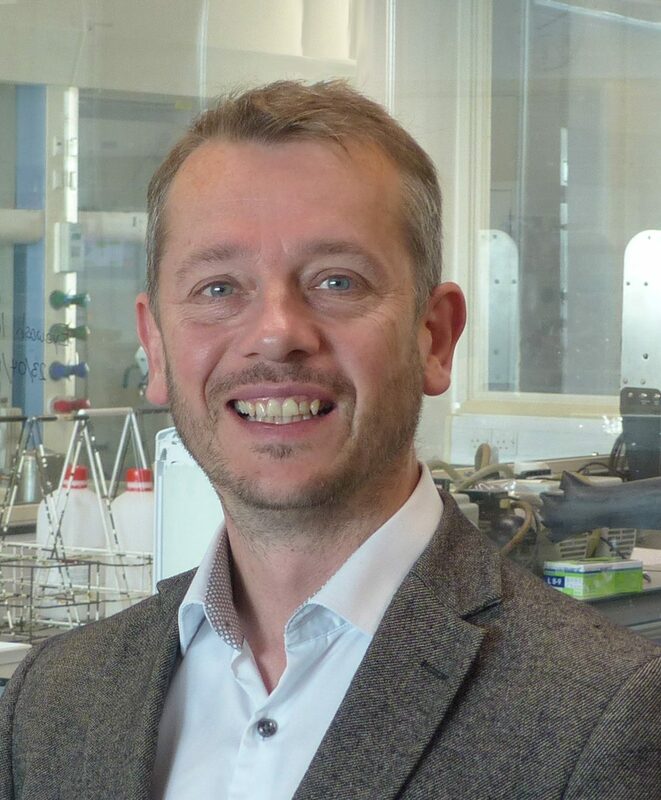 ICAT is keen to work with overseas scientists: its Catalysis Collaborative Research Centre reflects the work of the CCI in its dedication to tackling social imperatives. Over the past decade, the CCI has built ever-stronger links with Hokkaido. In recent weeks, 15 key researchers visited us to give talks and take part in a symposium that coincided with our own Annual Conference. Our centres have collaborated on EU-funded projects such as NOVACAM – developing catalysts using non-critical elements designed to unlock the potential of biomass – waste material from plants or animals that is not used for food or feed. Within the NOVACAM project, we are developing the fundamental catalytic reactions required for the processing of biomass into useful chemicals and fuels. The processing of biomass, such as cellulose, involves significantly different chemistry to that applied to traditional fossil-based carbon sources; notably the oxygen content must be reduced while retaining carbon and hydrogen if resources are to be upgraded. Our two-day symposium continued to build on this success. A range of talks spanned rich and varied terrain. We covered more than 10 topics in two days. And during the breaks, we had time to talk about our other work, like how to find efficient methods of producing greenhouse neutral biofuels. It’s fair to say the symposium acted as our own catalyst. And, as our particular field of chemistry expands to tackle society’s most pressing challenges, both human and chemical interactions will be of the essence.